I graduated from UBC’s Bachelor of Education program in 2004 and have many fond memories from my year in the program, including my first experiences writing songs for my students. What began as just one part of my teaching style has now grown into a whole new career in children’s entertainment and education. After completing my BA and BEd at UBC, I spent one year as a teacher-on-call before landing my first continuing contract at Lord Tennyson Elementary in Vancouver teaching French immersion music. It was during those years, that I began to develop a passion for writing music for children. I released my first album at the end of 2005, started playing some children’s events and quickly realized I had found my calling. Now, three years after leaving my teaching position, I have released six albums (three in English and three in French), which have garnered a number of national awards and nominations. I have also performed more than 650 shows in schools, festivals and theatres in many parts of the country. To learn more about me, watch videos and listen to my music, visit www.willmusic.ca and YouTube. 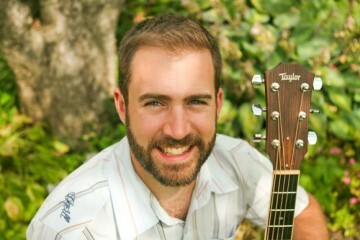 You can also connect with me on Facebook and Twitter @willstroetmusic. Will Stroet’s album Wordplay was nominated for a 2017 Juno Award for Children’s Album of the Year. Congratulations Will! Check out his video for “Full of Beans” – a favourite in the Teacher Education Office!